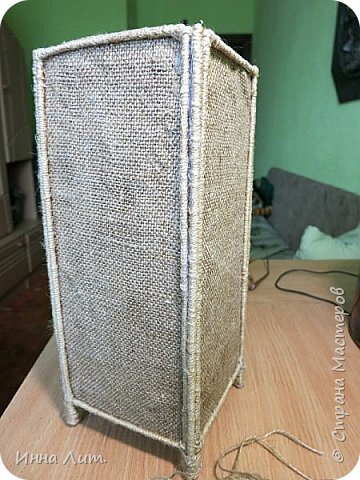 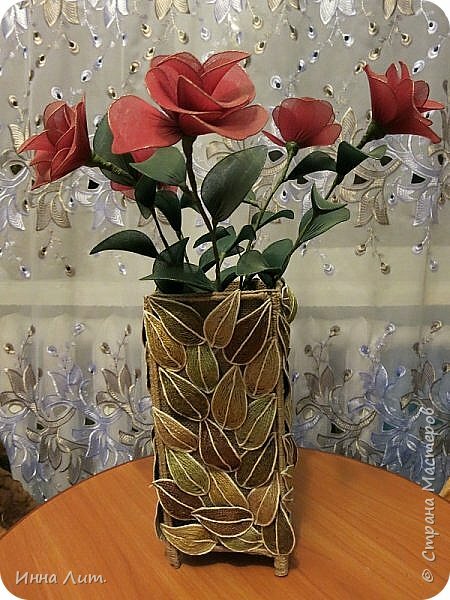 easy and nice idea of jute. just need burlap, jute, cardboard, glue and colour. first make box using stick as seen image. 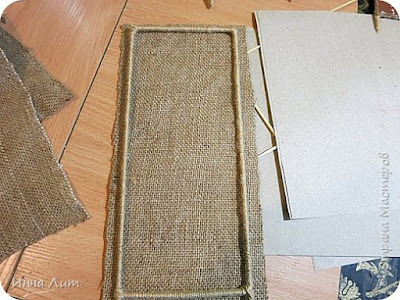 than cover burlap. 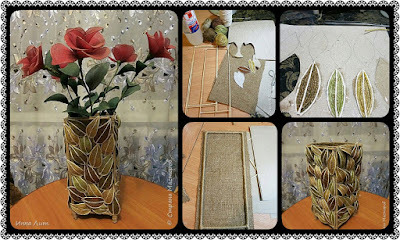 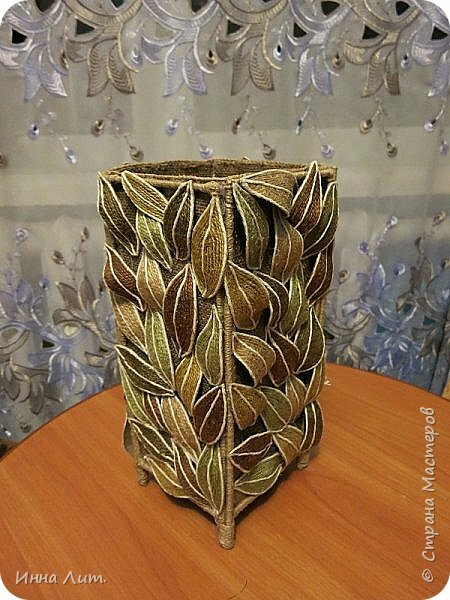 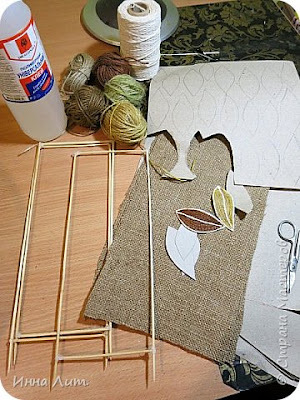 on cardboard first draw leaves and stick jute using glue. 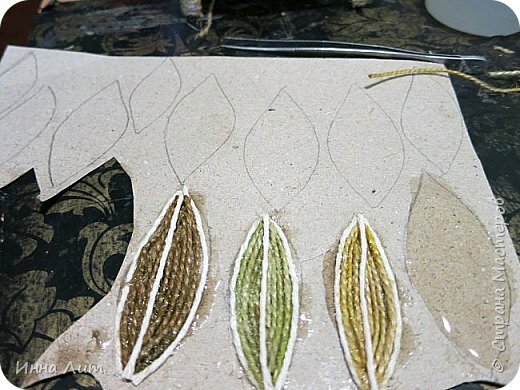 you have to make many leaves. 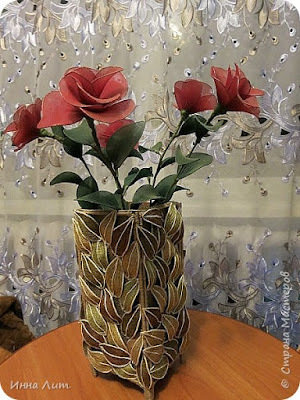 stick all leaves on burlap and your vase is ready...just coloured as you wish.